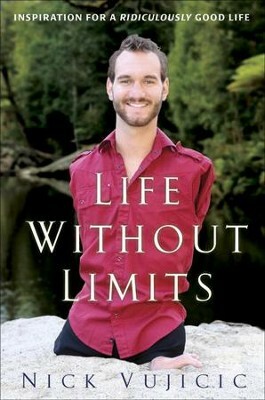 Born without arms or legs, Nick Vujicic overcame his disabilities to live an independent, rich, fulfilling, and "ridiculously good" life while serving as a role model for anyone seeking true happiness. 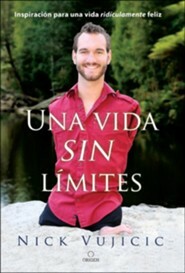 Now an internationally successful motivational speaker, Nick eagerly spreads his message: the most important goal is to find your lifes purpose and to never give up, despite whatever difficulties or seemingly impossible odds stand in your way. Nick shares how his faith in God has been his major source of strength, and he explains that once he found a sense of purposeinspiring others to better their lives and the world around them--he found the confidence to build a rewarding and productive life without limits. Let Nick inspire you to start living your own life without limits. 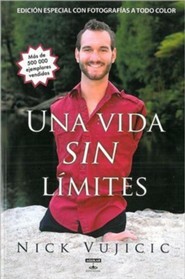 NICK VUJICIC is a motivational speaker and the director founding President of the a non-profit organization, Life Without Limbs. It was in recent years that Nick made the move from Australia to Southern California, where he now continues to passionately travel around the world, spreading a message of hope to all people. I'm the author/artist and I want to review Life Without Limits: Inspiration for a Ridiculously Good Life - eBook.